Hay bales get stacked one by one as the team moves up the field on a sunny day in farm country. 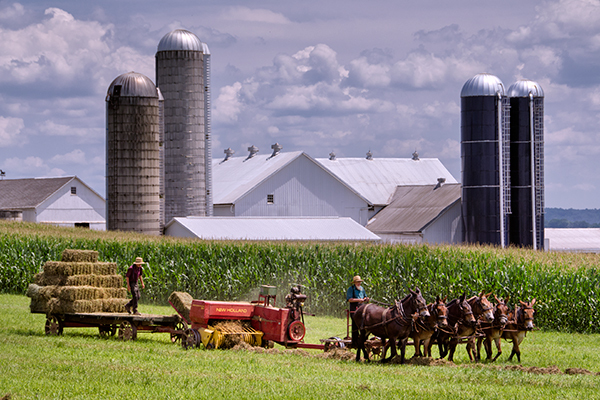 This entry was posted in Uncategorized and tagged Amish, Farm, hay, lancaster county, Landscape, Photography. Bookmark the permalink. The magical bounties of the earth–great photo, Donald!